What Causes Insomnia And How Can I Address It Naturally? Commercially made bedding often contains loads of toxic chemicals that can be harmful to your health and also disrupt your sleep. If you find you have a disturbed sleep, unexplained health complaints, or just want more eco-friendly bedding, we think you'll love our range of products as much as we do. Non-toxic, natural fibre underlays and duvet inners. Natural pillows and pillow protectors including organic Buckwheat Husk Pillows- great for pregnancy, recuperation from surgery and ongoing posture support as you sleep. MiteGuard Dust Mite Allergen protection. A scientifically proven natural solution to help Dust Mite Allergy sufferer's sleep soundly. Range includes the specifically designed Adjustable Pillow. Natural fibre, New Zealand made mattresses for Cots and Bassinets. We can also take your inquiry for made to measure mattresses in other bed sizes. We are improving our range all the time, so if you can't find what you are looking for, please contact us. 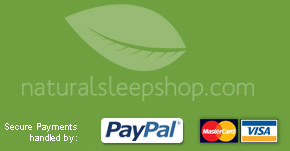 We would love to help you to sleep better, naturally!